The right steps towards a healthy holiday season are within reach. Staying on track with your diet and exercise plan over the holidays may seem like an impossible goal, but it’s easier than you think. With a little planning and self-discipline, you can enjoy festivities with family and friends, indulge in some of your favorite treats and stay in shape over the holiday season. 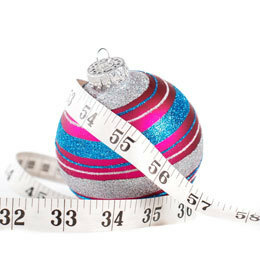 “Rather than trying to lose weight during the holidays, make it a priority to maintain your current weight and avoid gaining,” says Dr. Matthew Pinto, medical director and owner of Vive Medical Weight Loss and Aesthetics, based in Marlton. Hectic holiday schedules tend to wreak havoc on even the most disciplined individuals. But maintaining an exercise routine, staying hydrated and eating on a regular schedule is even more important when you’re short on time and feeling stressed. Pinto agrees. “People need to understand that it’s what you do 75 percent of the time that makes the biggest difference. The holidays are only a few weeks out of the year. You need to focus on making a lifestyle change as opposed to going on a diet. A diet is simply a method to change your lifestyle. But a healthy eating and exercise plan can improve your life over the long term,” he stresses. So what’s a person to do when faced with all of those holiday temptations? And when you’re at a party, think small. “When you’re faced with a huge buffet, just make one trip,” says Pinto. “Fill your plate once and try to eat more vegetables and healthy proteins as opposed to breads, pastas and sweets. It also helps to take a smaller plate and just take a taste of the less healthy options. Smaller bites may be all you need to get over your craving and not overeat,” he says. If you’re hosting a party, you have even more control over what you eat and you can offer healthy options to your guests as well. “When cooking a holiday meal, look for healthier versions of your favorite recipes that allow you to reduce calories and fat content,” says Erin Riley, a registered dietician and bariatric coordinator at Community Healthy Systems/Salem Surgical Weight Loss Center in Woodstown. “Serve more vegetables, such as green beans and asparagus versus starches like potatoes and stuffing; eat lean proteins such as white meat turkey versus dark meat; and be cautious with sweets. Eat more of the main meal and eat a smaller portion for dessert. And give away any leftovers so you won’t be tempted to eat them,” she suggests. Knowing what to eat is just as important as avoiding overeating. “There are basically three rules for success,” says Fortino. “Eat what [was] put on this earth, control your portions, and exercise, exercise, exercise. In order to eat healthy, you need to create good eating behaviors. Focus on foods pulled from the ground or off a vine. Proteins, fruits and vegetables are the foundation of your nutrition. Eliminate wheat/flour products and avoid fast food, take-out meals, microwaveable meals and junk food—also known as GMOs, or genetically modified organisms. It’s also extremely important to stay hydrated. Drink three to four liters of just water per day, or half your body weight in ounces,” he stresses. Vaks of Training Aspects agrees. “It’s important to focus on the whole body, including nutrition, diet and exercise,” he says. “By eating right and staying active, even if it’s just doing five minutes of walking, going up and down stairs, crunches, squats or push-ups each day, you’ll begin to see results. The key is to start slow and take it one day at a time. As we tell our clients, ‘An extreme change lasts a month; a lifestyle change lasts a lifetime.’ Your goal should be to make a long-term investment in yourself,” he stresses. “It also helps to set smaller milestones in order to accomplish long-term success,” says Salem’s Riley. “Focus on creating healthy behaviors such as reducing your calorie intake by cutting back on drinking soda or exercising three times per week. And try to cut yourself some slack. “The holidays should be a joyous time to spend with family and friends,” says Pinto. 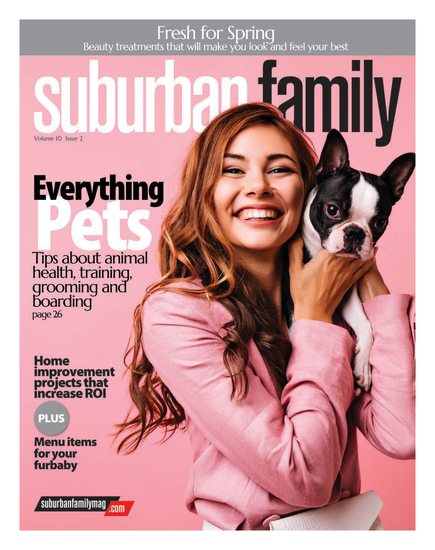 Published (and copyrighted) in the Art of Living Well pull-out section of Suburban Family Magazine, Volume 5, Issue 9 (November, 2014).